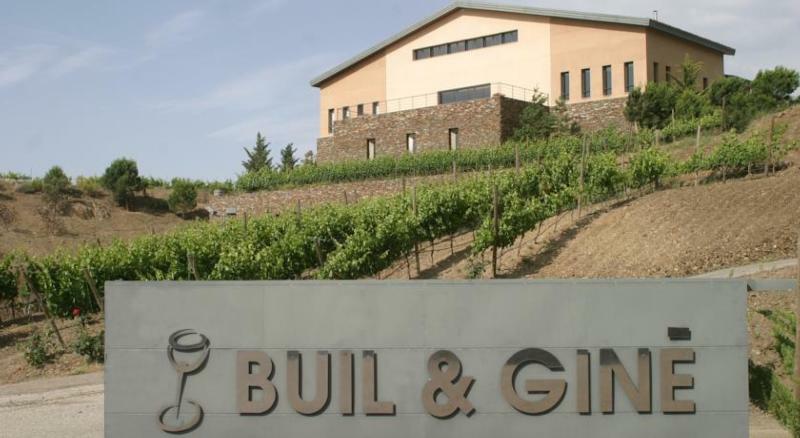 Buil and Giné is named for Xavi Buil's grandfather, Joan Giné, who made wine and raised his son and grandson in these dramatic vineyards. The winery itself was established in 1998 in the heart of Priorat, Gratallops, among the steep slate strewn slopes that the region is famous for. Many of the vines here are 45+ years old and are a stone's throw from the well known L'Ermita vineyards that share much of the same terroir. Wine and Spirits 91 "Although simple in flavor and texture, this blend of garnacha, cariñena and tempranillo shows all the nerve of a very good vintage in Montsant. It’s red and tense, moving through the mouth with a grip that lashes the flavors into memory." ~ Editor "Bright medium red color.